Cold and dry air behind this week's storm has spawned freeze watches and warnings throughout much of California, including several parts of the Bay Area. The National Weather Service says freezes will occur late Saturday through early Sunday in the Sacramento and San Joaquin valleys, and from north of San Francisco Bay south along the Central Coast. 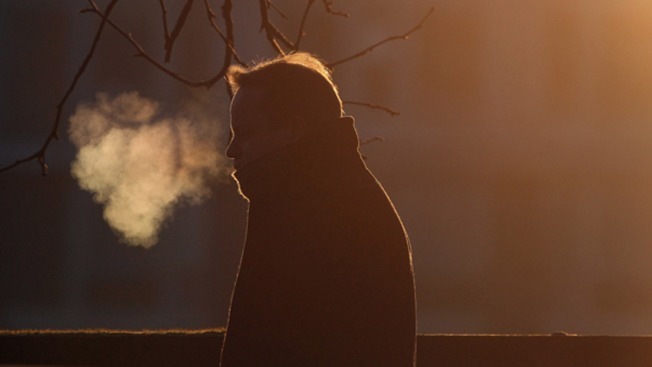 Some locations may experience a hard freeze — temperatures at or below 28 degrees for three to five hours. The bone-numbing temperatures incited the city of San Jose to open four warming centers throughout the South Bay for anyone in need, no questions asked. Those shelters include the Bascom Community Center, Tully Community Library, Biblioteca Branch Library and Washington United Youth Center. Ernesto Machuca from HomeFirst, an organization dedicated to providing for the homeless, said those working at the cozy shelters do whatever they can to help save lives. "We have provided mats, coffee, drinks, anything to get them get warm and even bus tokens as well," Machuca said. The chilly temperatures didn't seem to slow down holiday shoppers checking off their holiday to-do lists, but the cold air did make some express concern for the less fortunate. "I have a nice warm house to go home to," Buffy Whalen from San Jose said. "I just hope the people that are out on the streets can find some warm place to go." Not to be forgotten, pet owners are reminded to make sure their non-human friends are bundled up and protected from the elements.